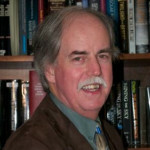 Dennis Wingo of Skycorp, Inc.
6 – 7 PM: Autonomous Vehicles SIG (AV-SIG) – Automated Vehicles: ??? This main meeting runs from the 7-9pm. Our Autonomous Vehicles SIG (AV-SIG) meeting runs from 6-7pm – see details below. A single registration allows entry to both events. The industrialization of the Moon will be one of the most significant events of the early 21st century since the Moon’s proximity to Earth makes it the springboard to our solar system’s vast resources. 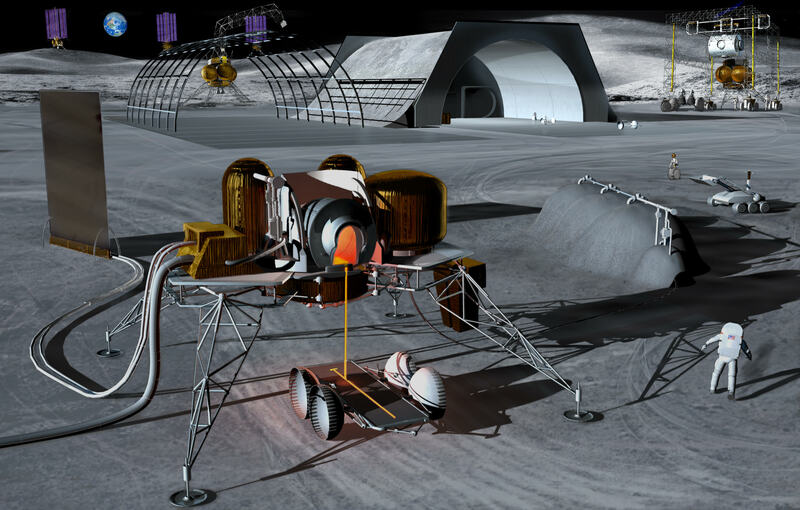 In addition, the Moon 1) has low gravity for ease of landing and takeoff, 2) has enormous resources in the form of metal oxides, 3) is the receptor for millions of asteroids from around the solar system, and 4) is near enough to the Earth to allow for easy transport of equipment, and remote control (teleoperation) of that equipment. Many industrial processes for advanced materials are possible only in vacuum conditions, and the Moon’s 10^-12 torr atmosphere is idea for industrial processing in-vacuo. In addition, the Moon’s proximity to the Sun allows for the economic use of solar power, and the Moon’s polar regions have large-day fractions (89% in the north and 91% in the south) that would further enable solar power. About the speaker, Dennis Wingo of Skycorp, Inc.
Dennis worked for many leading edge companies in computer, artificial intelligence and document management areas during the 1980s, including Vector Graphic, Symbolics and Alpharel. He led the development, construction and testing of microgravity payloads for sounding rockets and the Space Shuttle at the University of Alabama in Huntsville, including the first Macintosh flown on the Space Shuttle, and SEDSAT-1, the first non-NASA spacecraft built in Alabama. Dennis also led the design and development of the world’s first commercial satellite servicing system at Orbital Recovery, as well as the Lunar Orbiter Image Recovery Project (LOIRP) that restored and digitized the images of NASA’s Lunar Orbiter Program. He was the first person in history to rescue and operate a spacecraft (ISEE-3) in interplanetary space. Dennis has been a Keynote Speaker at the Apple Worldwide Developers Conference, and has given Google TechTalks. He is author of the book Moonrush: Improving Life on Earth with the Moon’s Resources as well as dozens of scientific articles and entries on his blog. He has also been featured on many documentaries, programs, and news articles on advanced space activities.